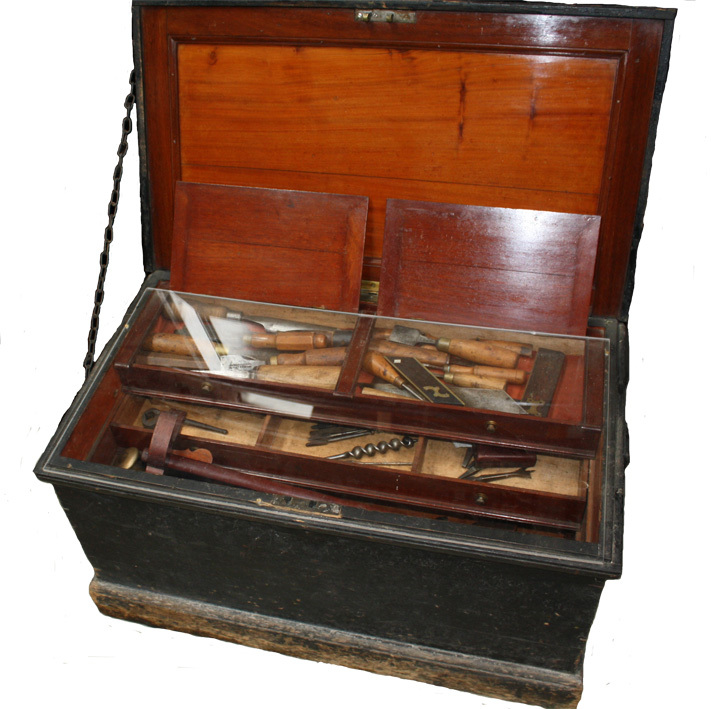 This tool chest was made by the owner when he was an apprentice in the Railway Works as part of his woodwork training. In addition some of the tools were made inside the Works too. The tools had their owner’s name embossed on them, but were not expected to be loaned or borrowed. The chest is extremely heavy but was rarely moved as each workman had his own allotted bench space.